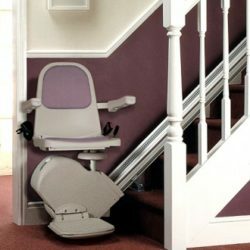 TOE GUARD COMMERCIAL PLATFORM LIFT ⋆ Accessible Homes, Inc. 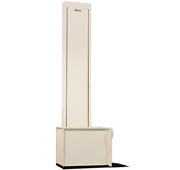 Free-standing Toe guard VPL with stationary lower landing walls and gate shields the lift inside. 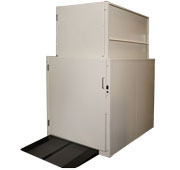 As a self-contained unit, Toe Guard requires minimal construction and is ADA compliant without a hoistway. 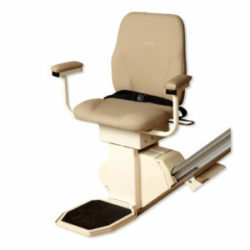 It’s ideal for exiting sits, where major construction is not possible. 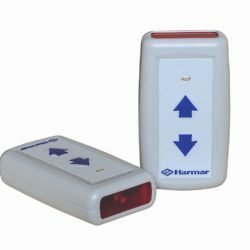 Interlocks prevent gate from opening until at landing level. 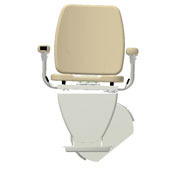 Top landing includes a 42″ gate, fire door, RDI interlock or flush strike.